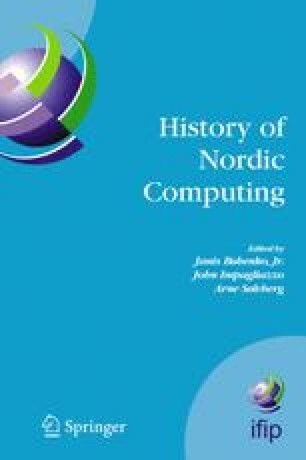 In this panel session, people from the four countries — Finland, Sweden, Norway, and Denmark — who participated in the early development of computers and computer industry discuss how the computer industry started and what happened 30 to 40 years ago. We will try to answer questions as follows. How and why did the computer development and industry start in each country? How did it manage the change from research/development into industry? How and why did some of the early companies not succeed? What were main achievements and successes?